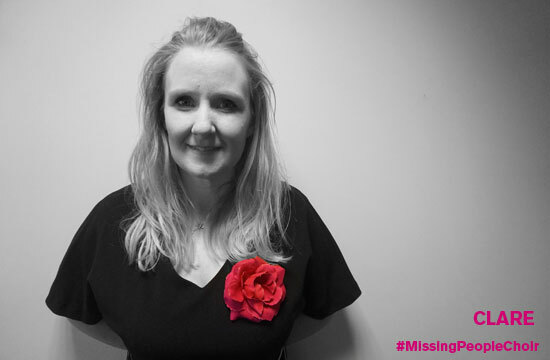 Clare Cook, Deputy Director of Fundraising & Communications at Missing People, and James Hawkins, Missing People Choir Director, kick off our five-part 'Meet the Choir' series by telling us how the Missing People Choir came to be. Sometimes an idea is presented to you that is so strong that you have to explore it and see where it leads. 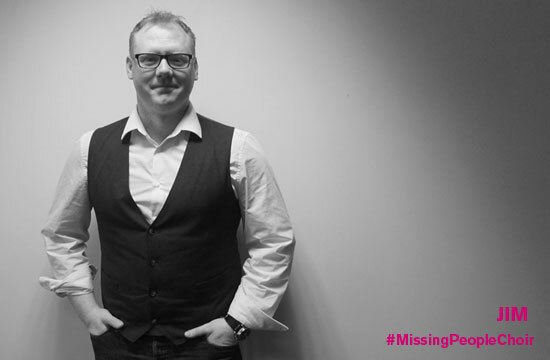 Forming a choir for people who had experienced the disappearance of someone they loved was one of these ideas. It was the brainchild of Jim who had worked with singers for years and seen the healing effects that music could have. This brilliant idea became a definite need thanks to the experience of Peter Boxell, whose son Lee disappeared in 1988. We invited Peter to speak at the Missing People Carol Service at St Martin in the Fields in December 2013, to perform a song that he had dreamed he sung directly to his son. Peter hadn’t ever sung in public before, even in a choir, but Jim worked with him on the song and his performance, so he felt confident in front of the 800-strong congregation. The impact on everyone in the church was huge – it was an incredibly powerful way to reach into the hearts of the listeners and help them to feel – for just a moment in time - something akin to what he has felt for over almost 30 years. The impact on Peter, however, was even greater. He told us how very cathartic he had found it to be able to reach out to his missing boy, and to actually sing his emotions. Hearing and seeing this, it was obvious that we had to make the idea of a Missing People Choir a reality. 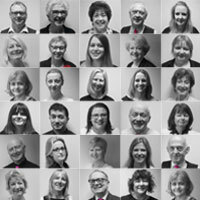 June 2014 saw the first rehearsal of the choir where families with missing loved ones gathered together, joining those for whom the search was over as well as staff, supporters and volunteers from the charity Missing People and our partners at the National Crime Agency. Everyone was a bit nervous, a little unsure, but from the moment we sang together it became clear that there was going to be a wonderful connection between the singers. Because we had such a strong purpose. Three years later the choir is going from strength to strength… The bonds between choir members have grown stronger with every rehearsal and performance. The reason that it is so effective is because on the one hand it focusses the mind on singing the right note at the right volume at the right time. More importantly, it gives those who are hurting the chance to literally reach out to their loved ones through song. And to sing with others who understand like no-one else possibly can. Tune into ITV on Saturday 15 April from 8pm to watch the Missing People Choir audition on Britain's Got Talent.